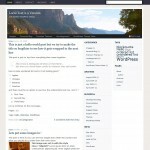 The new WordPress 3.5 release is still in development, so we are working hard on improving our WordPress templates. This time we haven’t merely updated the styles but rather focused on discarding obsolete features and fixing security and template code issues. Following up to my previous post, I have updated the ever popular MistyLook theme to add support for Custom Menu when using WordPress 3.0 and above. Please download the new version[MistyLook 3.8RC] and install it. Your feedback will help make it better. 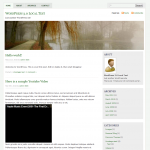 MistyLook is the most popular WordPress Theme that I ever created. This theme has been installed on hundreds of thousands of websites. 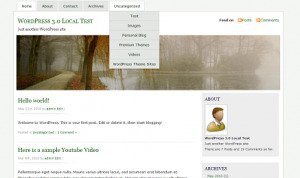 Download MistyLook 3.8 beta for WordPress 3.0.